Just like the Muslims, Hindus in Lombok, Indonesia have strict rules that punish those who leave the religion for another. Believers from a Hindu background have lost their families, their inheritance, and their place in the village for following Jesus Christ. One of them is Andria*, a 26-year-old girl who finds Jesus during the hardest time of her life. Andria was 17 years old when she suddenly lost her sight. At that time, she was just about to start her final exams in a local senior high school, in West Lombok. Her family could not bring her to the nearest hospital because they couldn’t afford it. A few years later, she finally found out that it was glaucoma that blinded her. Andria was shocked and depressed. Andria could not accept her condition. She relied on others to do her daily routines. She always believed that eyes were the most important part of her body. Andria could not continue her school. She had to let go of her dream to be a writer. For four years, Andria lived in despair and did not want to do anything. She cried all the time. One morning in August 2008, she met a vegetable seller who told her that ‘someone’ loved her. Andria was surprised with those words and she asked about this ‘someone’ that the vegetable seller mentioned. In the afternoon, the seller came with a local missionary who explained to her about the love of Jesus. That was the first time Andria felt loved. After that, the local missionary came to her house thrice a week to share from the Scriptures. Within a month, Andria decided to be baptized. Even though Andria did not openly tell her father about her conversion, he saw that Andria was changed. Stay Informed. Get the Open Doors Newsletter! But Andria’s family found out that she made friends with Christians and read the Bible—so her family beat and threatened her as well. They would probably be angrier if they learned that Andria was already a baptized believer. 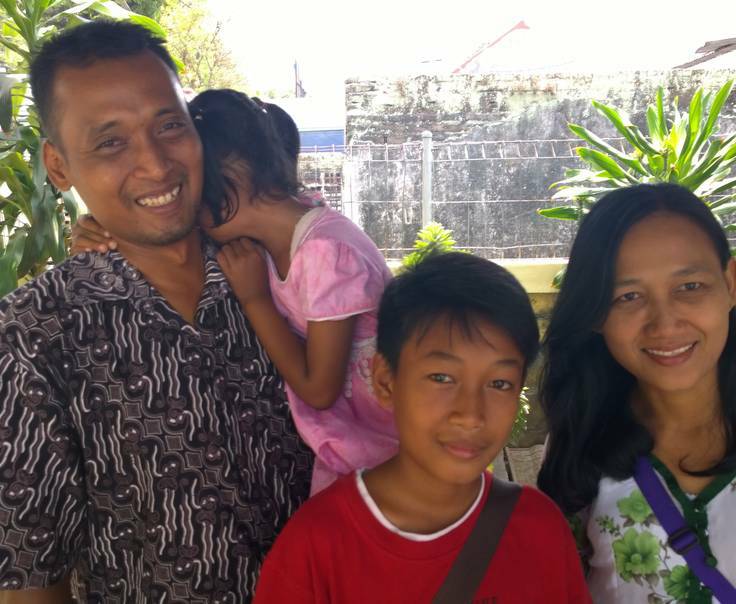 After her conversion, Andria regularly met with the local missionary, read the Bible, and learned about Jesus. Andria started to be thankful, despite her condition. “Jesus loved me no matter what. If He allowed me to be blind, He has a purpose for it. I did not pray for Him to heal me, because He must have a great plan behind it,” Andria said. Since Andria’s father worked as a Hindu priest, he did not get a regular salary. The situation forced Andria to work to provide for her family. She went to her neighbors’ house to wash and iron their clothes, and she also sold food and phone vouchers. Every day, Andria listened to a Christian radio program to help her grow spiritually. The local missionary’s regular visits also helped her learn more about the Bible. Andria appreciated God’s protection whenever she did her daily activities. When she moved about her house or walk around the village using her walking stick, there were times when she could only rely on God for guidance. “Many times, I did not know if there were stones or other obstacles in front of me, but I could hear God when I walked. Sometimes, there was a voice that directed me. I hear Him telling me to go to the right, or left, or to stop,” Andria said. Andria was the only believer in her village, and she wanted to share Jesus with everyone. Many of her friends started to open their hearts to Jesus after they heard about Andria’s testimony. She also shared it with her father whenever she could. In Jesus, life had taken a new meaning for Andria. She desired to bring more Hindu believers to Jesus, and most of all, she dreamed of her father coming to Christ one day.